CAS-ology – Plaid week challenge 161…..
Hello there, I hope you are all having a good week so far – not long till the weekend! 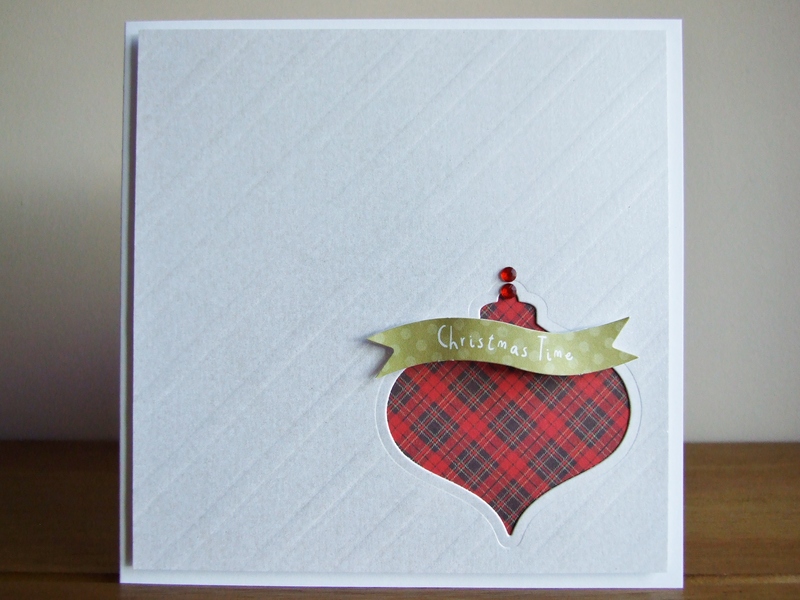 Today I’m sharing a card that I have made to enter the Plaid week challenge 161 over at Cas-ology. I love the clean and simple look – although I do find it a bit tricky! Sometimes it’s a question of me telling myself to step away from the card before I add anything else to it!! I must apologise for the photo’s. I used Centura pearl cardstock here that I embossed with an old Sizzix Texture plate and the light just kept bouncing off it! 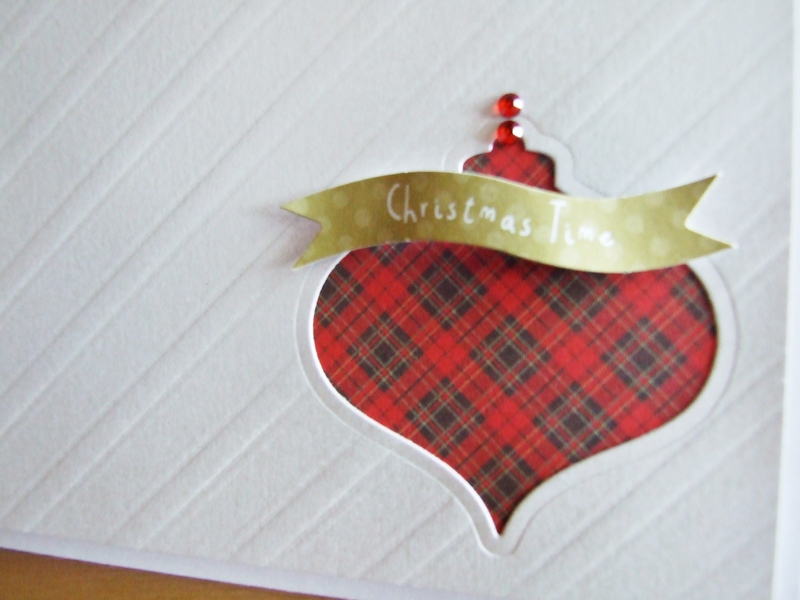 I have also used a Spellbinders Christmas ornament die and the plaid paper and sentiment is from Craftwork Cards and is from their Chalkboard Christmas Collection. < Previous ‘Happy Harry Snowman’…..
Next > ‘Focus on you’…..
Beautiful plaid Christmas bulb! Love the embossed background, too! This is fabulous! The touch of plaid is great! I think you managed the CAS look just fine, Karen! That plaid ornament gives such a cozy Christmas feel! Thanks for playing along with CASology this week! Classy… The plaid is perfect, love the crisp and clean feeling of this.